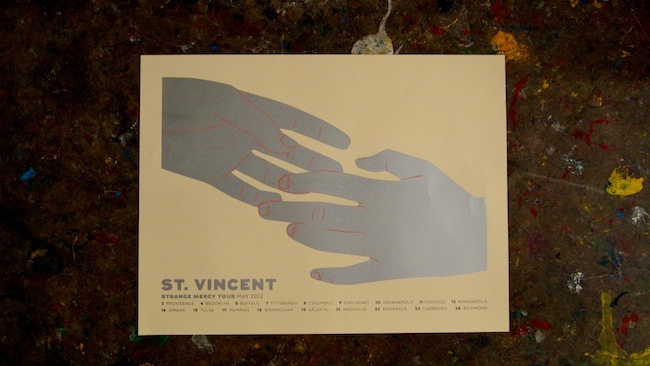 Check out this simplistic yet powerful print for St. Vincent's Strange Mercy 2012 Tour! It is a very cool 2-color print on 19"X25" French Paper cover stock. Metallic silver really help the print pop! These prints were available exclusively on tour. “Simplistic yet powerful print” – Few words that definitely summed up the essence of the poster! The concept is just too meaningful, and it merely defines Annie Clark’s personality and polysemous lyrics.